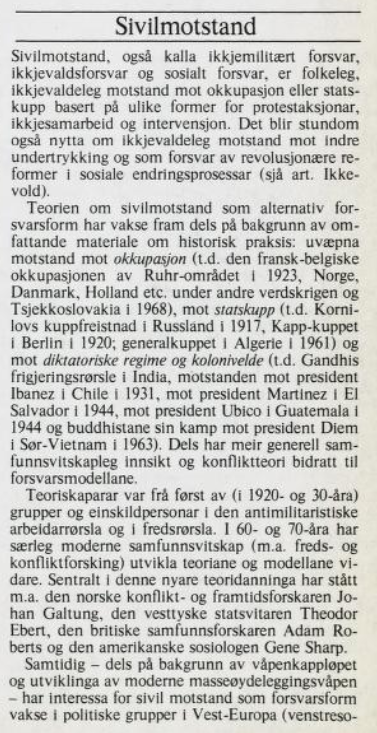 In the early 1970s I heavily involved in “Folkereisning mot krig”, the Norwegian chapter of War Resisters’ International (WRI). From 1972 to 1975 I was a member of the executive committee of WRI. General secretaries of WRI at that time were Devi Prasad and Joseph Gerson. In the executive committee and the council I had the honor of meeting Martin Niemöller, Harold Bing, David McReynolds, Michael Randle, Myrtle Solomon, Hein van Wijk, Pietro Pinna, Jean van Lierde and others. 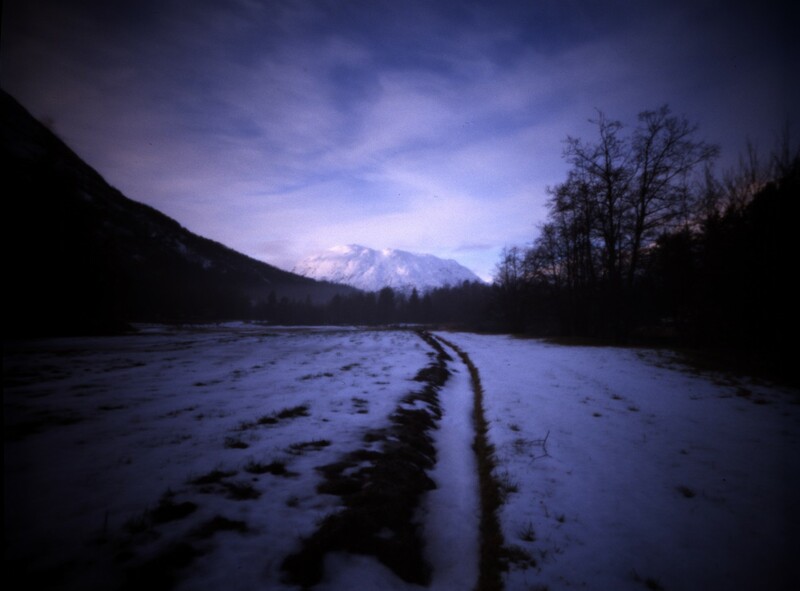 One of my interests was nonviolent struggle and non-military defense. I published several articles in Norwegian on those subjects. In 1978 I was asked by WRI to write an article in English for the May–June issue of the WRI newsletter. 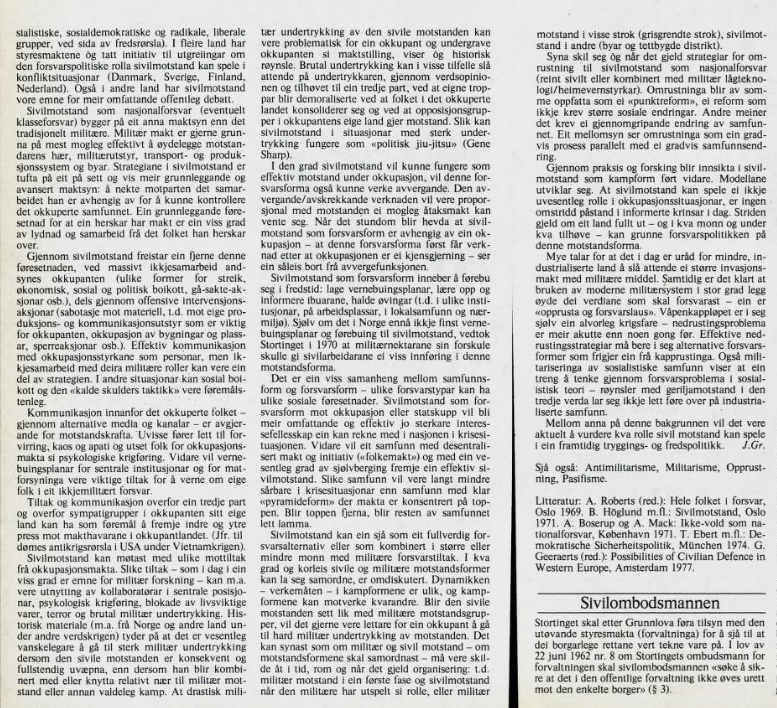 The article was a working paper for the 1978 triennial and was translated into French and German. In 1974–79 I was a member of a governmentally appointed commission (“Vernepliktsutvalget av 1974”), which reviewed the legislation on conscription and conscientious objection. My contribution to the report comprised more than 200 manuscript pages.